The day is unfavourable and unsuccessful for beginnings of various activities. A child born on this day will be a good, active person and will live to a very old age. For the one who falls ill on this day the illness can become dangerous. Dreams will be fulfilled. Symbol – the elephant. Wisdom, firmness, the Universal Law, hidden knowledge, informational field. The day for achieving a goal, studying sciences, trades, understanding one’s own roots. One should be finding out the future, meditating, teaching others, transfer experience, be generous, altruistic. It is recommended to eat a lot. One should not be conservative. . This day is beneficial for any kind of trips and travels, as well as for moving house, but only by land. It is also good for buying and selling, for risky business activities, for trade and for storing supplies of food. This is a day for entertainment in a company with other people. A child born on this day will be distinguished with industriousness and efficiency, patience and discreetness. A person who fell ill on this day can be in a great danger. For thieves and other criminals this day is unsuccessful and unhappy: they will be soon caught and sentenced. Dreams are usually invalid. Symbol – the horse. An active, creative day. Bravery, fearlessness, voluntary sacrifice, rejection of possessions. Group endeavours are useful, everything that brings people together, one can give an oath of loyalty. One should be honest and fair. It is good to start a journey, to change job, to take water treatments, to do physical exercises, to be in the open air. One should not blindly rush to a goal. .. The desire to be noticeable, appreciated, and to feel you are the centre of other people’s attention will be dominant. There is a stronger than usual desire to hear praise, and your emotions will be expressed vividly and openly. This is a good time to perform and appear on stage, to play, create and do everything which inspires you and lets you express your inner self. However, your ability to perceive details and nuances could deteriorate at this time. A beneficial day in all traditions, especially for important beginnings. Good for marriage. However, this day may be difficult for those who are ill and children born on this day may have a difficult temper.. This day is good for any beginning, both big, important, and trivial. Everything undertaken will have success. A child born on this day will get an angry and disagreeing personality, his parents will have to struggle with him from the very early age. An illness that began on this day can prove to be quite lengthy. Dreams, as a rule, will be fulfilled. Symbol – the eagle. A serious day related to spiritual transformation, cognition of the cosmic law, overcoming the doubts. The best day for spiritual illumination, studying spiritual texts, fasting. It is better to spend it at home, being busy with family and traditional matters. Eagle is a symbol of religious feat. One should overcome pride, haughtiness, snappishness. Do not practise spiritual healing, you can exhaust yourself.. There is no Lunar Day forecast for today as the last Lunar Day is still in effect until 00:49 GMT Monday 29 2013. *US and Canada (with exception to New Brunswick, which will subtract 4 hours from the times given above) please subtract 5 hours from above times on east coast and successive time zones will subtract an extra hour(+5) according to time zone you’re in – Note that these deductions must be changed according to your time zone by 3 hours for New Brunswick and 4 hours for US east coast until your clocks are changed. Sunday 27 October 2013 (Sun) + Note clocks are moved back in Great Britain at 02:00 GMT (2:00 am) and times will now be posted in GMT, not BST. Adjust your local times accordingly to times stated here. Thank you. This day can be named neutral, indifferent. It won’t bring any harm if you will continue to do something that was started earlier. A child born on this day may become honest and kind, or greedy, or envious, but in any case he will be a big foodie. The illnesses, as a rule, are not dangerous and won’t have any consequences. Symbol – the bear. The day of awakening and transformation. A revelation and an enormous energy can pour down on someone. A beneficial day for subduing one’s physical nature, sexual energy, for conceiving and healing. One should strengthen their health and elevate their spiritual level. One can lay the foundation of a house or a temple. Rapists and sadists are prosecuted. *US and Canada (with exception to New Brunswick, which will subtract 4 hours from the times given above) please subtract 5 hours from above times on east coast and successive time zones will subtract an extra hour(+5) according to time zone you’re in. – Note that these deductions must be changed according to your time zone by 3 hours for New Brunswick and 4 hours for US east coast until your clocks are changed. Most traditions consider this day as fairly good and active. The European tradition portends fame and honours to matters which come to a head on this day, but it doesn’t recommend starting anything new. The Vedic tradition promises success in many affairs and also does recommend starting something new. For Globa, it is a day of penitence when vampires rage. The day is very good for completion of any activity, any enterprise. Not only they will be resultful, they can bring honour and glory, popularity and wellbeing. However, one should not start any new activity as it will be senseless and useless. A child born on this day won’t be especially beautiful, so a lot in his life will depend on his ability to gain knowledge and be kind. The illnesses of this day are long, and the dreams are false. Symbol – the crocodile. One of the days of seduction, of vampires’ bacchanalia. The period of fasting, abstention, carefulness, repentance, forgiveness and self-sacrifice. This day is connected to hounding, manhunt, exile, encounter with a mad crowd. One should guard one’s house: clean it, sprinkle it with holy water, cleanse thresholds with fire, fumigate with Labrador tea and cumin. It is good to make cheese pies and to bake a nut into them. It is recommended to eat dairy products. It is dangerous to give way to anger, to overeat. One should not cut hair or nail, have a surgery, have a sedentary life. The Crystal of the Day for Friday 18 October 2013 is Muscovite. The vibration of Muscovite encourages you to give more attention to your spiritual side, by opening you to an awareness of your higher self. It will help you if you are studying as it allows you to use all parts of your mind. This stone will stimulate better problem solving abilities in everyone. It stimulates agility of thought, and fosters the solving of problems by using information from the past. It has strong metaphysical properties that will help you if you have side effects from activation of psychic powers. It is an excellent stone for you if you suffer from dyspraxia and have a problem with clumsiness and left-right confusion. It helps to stimulate confidence and ease tension. It will help you to live in the present, and as you let go of ‘today’ it is possible for the future to unfold as it was meant to. This stone may be colourless, white, yellow, brown, violet, blue, gray, pink, red or green, and even a mixture of colours. The green stone is known as Fuchsite. The blue stone is unusual and comes from Western Australia, and goes by the nickname Australian Lapis, although there is no relationship to Lapis other than its colour. The rose red and pink stones are the commonest colours although the green stone is becoming more prevalent and you can now find the stone more easily in other a range of other colours as well. This stone has been in use in Russia for hundreds of years although it was not used for metaphysical purposes. 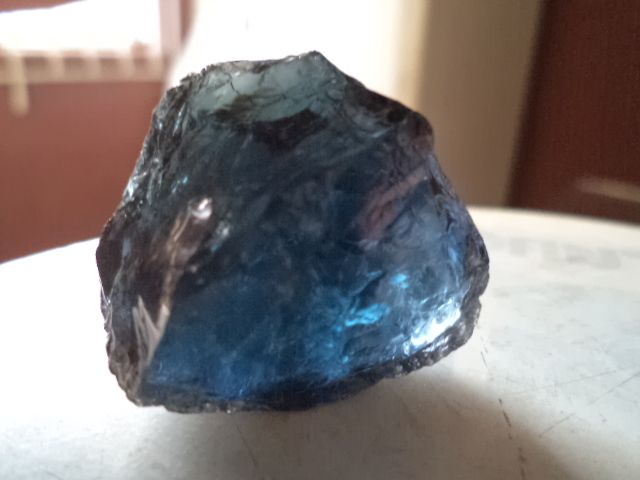 Side effects caused by very rapid awakening of your psychic gifts may be alleviated by this stones unique energy and it is also highly protective. This is an excellent stone to aid you if you have experienced any negative effects from the opening up of your psychic abilities. It is possible that if you are using very high vibration stones for the first time that this may suddenly bring through an enormous flow of information from spirit. At this time some people experience symptoms such as headaches, dizziness or vertigo. You may find it hard to sleep if you have not turned off your connection with spirit. If this has been your experience keep a piece of Muscovite stone on you, and you will find you will quickly feel better. Either color of this stone will help to balance your brain and will alleviate any of these symptoms. This is a stone of possibilities and may help you if you have been unintentionally holding yourself back from living a life that might be more fulfilling. It aids you to look back to the past and learn from it while allowing the unfolding of your innate gifts in the present. This stone resonates strongly within both the crown chakra and the third eye chakra and it is a powerful stone to assist you with problem solving… as well as inspiring and stimulating the mind and the higher functions of the brain. This strong resonance within the higher chakras and in particular within the third eye chakra will help to amplify psychic powers. In particular this stone may assist you with developing intuition, ESP, psychic visions also known as clairvoyance and mental telepathy. Its energy makes you more open to receiving information from spirit and from your guides and helps you to integrate and receive information from the future that will assist your present life. If you have not already made contact with your spirit guide, these stones, and in particular the pink coloured crystals, will aid you to both find your spirit guide and begin connecting with angels. The vibration of it may reflect back to you parts of yourself, that you need to be aware of. These parts may be holding you back from living your life to your full potential. As you begin to recognise the truth of your life, Muscovite allows you to feel a deeper degree of unconditional love for both yourself and others. If you have dyspraxia, Muscovite may make it easier to deal with your life. It will help with problem solving and well as encouraging clear expression of thoughts and feelings and help alleviate clumsiness and left-right confusion. These are some of the specific problems that dyspraxic individuals may find difficult. 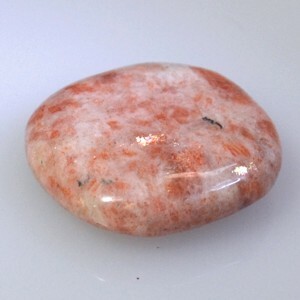 Red Muscovite has a strong vibration that provides psychic protection. This stone is a highly protective stone and a spiritual insulator that will seal your aura and prevent psychic attack. If are worried about doing spiritual development work as you are wary that you may make contact with spirits that are not positive, this stone will protect you while making contact with your spirit guide. Until the symptoms abate, you may find that you might be helped by also keeping a piece of Black Tourmaline on your body to also aid you with spiritual grounding. Many healers like to have this green stone in their healing rooms as it is a strong stone to aid you as the healer, to allow your clients to take responsibility for their own healing. Many well-meaning healers surrogate their clients without meaning to. If you have found this has happened to you, then this stone is an excellent adjunct to your healing practice. The day is good and beneficial for any kind of trips and travels, including those for business, as well as for moving house. It is also good for buying and selling, for litigation, but also for sleep and rest. A child of this day will be a favourite of his own Fortune, good luck will follow him throughout the whole life. The one who falls ill on this day can die without a help from someone else. Symbol – vessels with live and dead water. A passive, contemplative day. It gives solitude and concentration on spiritual problems. One should cleanse their body from debris, listen to their inner voice. One could undertake a medical fasting. Hastiness is counterindicated. Clearhearing is a sign of slavish dependence on someone.